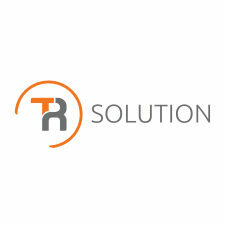 TR Solution Sp. z o.o. is a successor of Amod Andrzej Modrzewski. In 2016 Tr Solution Sp. z o.o. took over Mr.Modrzewski's business, which since 1993 was supplying Polish market with tooling and modeling systems. Our main activity is distribution of SikaAxson - a leader of polyurethane and epoxy resin systems in the global market. We offer products for short series of prototypes simulating ABS, PE, PP and rubber. Our systems are suitable for producing parts as well as tools (thermoforming , high pressure injection moulds, metal sheet forming etc.). We also distribute products of such companies as: ELKEM (Bluestar Silicones) - silicones, Zhermack, Alwa - methacrylicsystems, Munch Chemie - anti-adhesive systems, Wolfangel and De Ijssel. Supplementary products such as mixing and dosing aggregates, Vacuum chambers, etc.